Category: Checkout Release date: 05/23/2014 Developer: Ve Interactive Benelux B.V.
You’ve put a lot of money into online ads and they’ve brought a lot of traffic to your site. But unfortunately, the statistics show that on average 78% of your visitors abandon during the checkout process. There are several reasons for this, for example hidden shipping costs or frustrating error messages on the website. 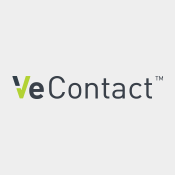 VeContact draws the abandonment data from our platform and creates intelligent, personalised emails that bring lost customers back to their prepopulated basket. These emails are fully brand consistent and produced with you by our experienced designers. With VeContact you can engage 11% of your abandoned traffic. There are two ways to pay for our services. Directly: VeContact is available on a pay-on-performance model, which means we are only paid a 5% fee of the abandoned transactions we recover. Through an Affiliate Network: We work with all the major affiliate networks and our services can be paid for on a pay-on-performance model at your standard publisher rate. Once you click to install the VeContact App, our script is automatically configured onto your website. One of our friendly account managers will be in touch with you within 1 working day to discuss your contract and payment options. 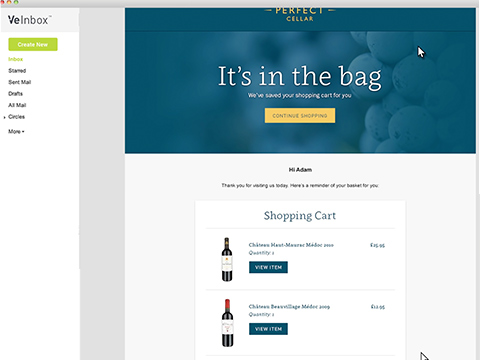 We will also produce an abandoned cart email template and answer any questions you might have before starting any campaigns.